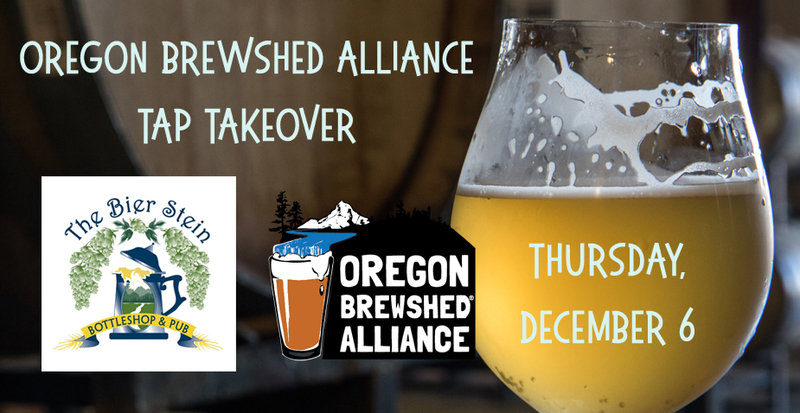 On Thursday, December 6, The Bier Stein will feature a complete tap takeover of Oregon Brewshed Alliance partners’ brews. Come share a pint (or two!) of these fantastic beers, play “Brewshed Trivia” to win great prizes between 6 and 8 p.m., and learn more about the Oregon Brewshed Alliance. RSVP and share this event with friends via Facebook here.